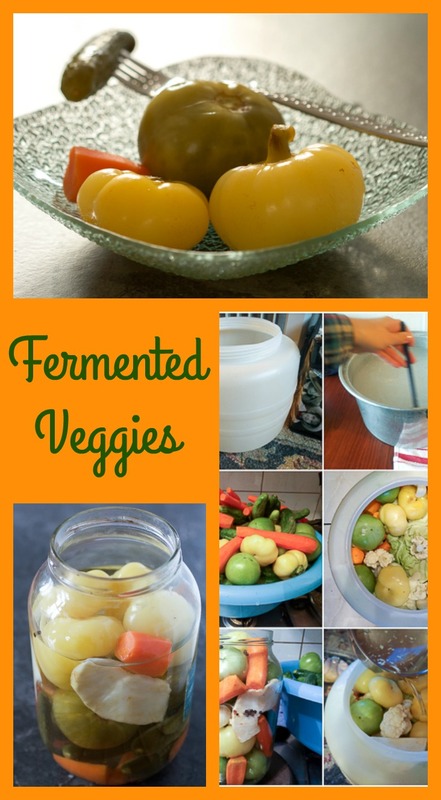 An easy guide to fermenting vegetables for salads and meals. Includes: yellow bell pepper tomatoes, green tomatoes, cabbage, carrots, cucumbers, celery root, peppercorn. 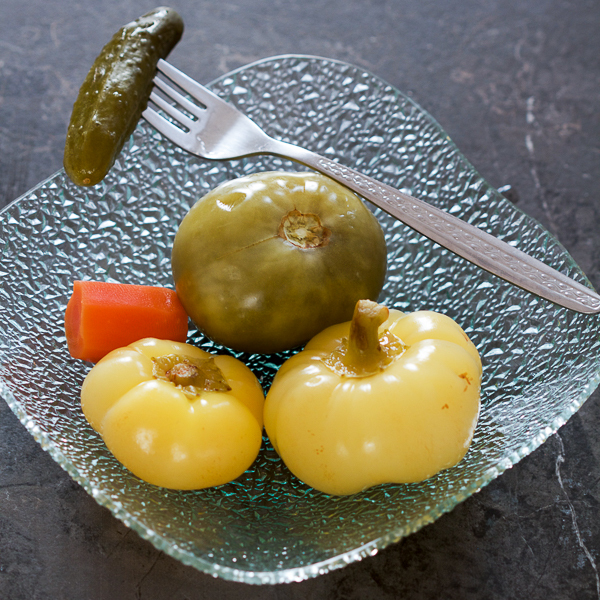 If you go to the Balkans in the fall or winter, you’ll be served a lot of fermented vegetables. They’re plump, bursting with juices, and sour in the right way. Known for their high levels of Vitamin C, fermented veggies are especially good for immunity. It’s no wonder people eat them in great quantities during cold months. We’ve already covered how to ferment cabbage, which is basically just regular sauerkraut. 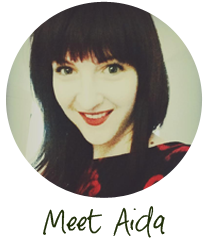 You may remember the recipe was easy to follow and if you make a batch consisting of cabbage heads you can make delicacies such as stuffed sour cabbage. If you really like gadgets, a google search will help you make fermenting more complex and expensive. Don’t make fermenting complicated though. You’ll never do it again if it’s complicated the first time. Fermenting veggies isn’t like making craft beer. There is no need for a huge philosophy behind it. You get a few veggies, add salt or citric acid as a preservative, submerge in water, and leave for a period of time until they sour. People have fermented veggies this way for centuries. For today’s recipe I’m adding just one more ingredient to the process, the potassium sorbate. Potassium sorbate (aka potassium metabisulphite) is usually used for wine fermentation, but it comes in handy for vegetables as well. It comes in pill and powder forms. If you get pills, crush a few until you get a tablespoon of the powder. 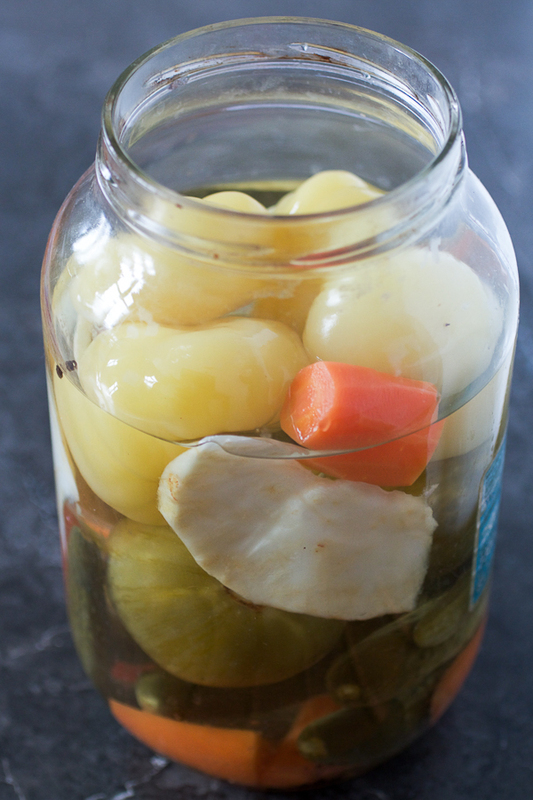 Once you ferment vegetables a few times, come next winter it’ll be natural to you to have a jar or two of veggies fermenting. I did a larger volume this time around as I really like these sorts of salads. 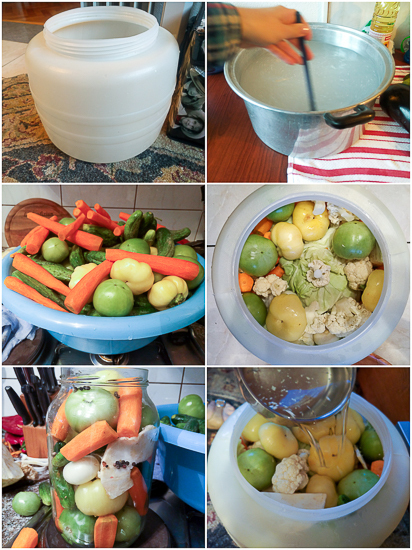 Fermenting a lot of veggies at once cuts down on the amount of times I ferment. Also, I found these veggies to be a great gift. Nowadays my gifts include a lot of food items. People like getting prepared food, especially when it’s something as different as fermented carrots and cauliflower. What did you ferment? How did it come out? Do you have some recommendations? Have you tried the fermented juniper berry juice? In a large pan, combine water, vinegar, salt, sugar, peppercorn, potassium sorbate and citric acid powders. Mix well until all ingredients are dissolved in water. Wash all vegetables thoroughly, and dry them. Cut up cabbage into quarters. Break cauliflower into several florets. Chop up the celery root. Cut carrots in half. 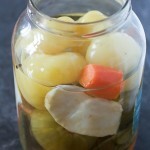 Take the fermenting container (or jars) and layer the vegetables inside. 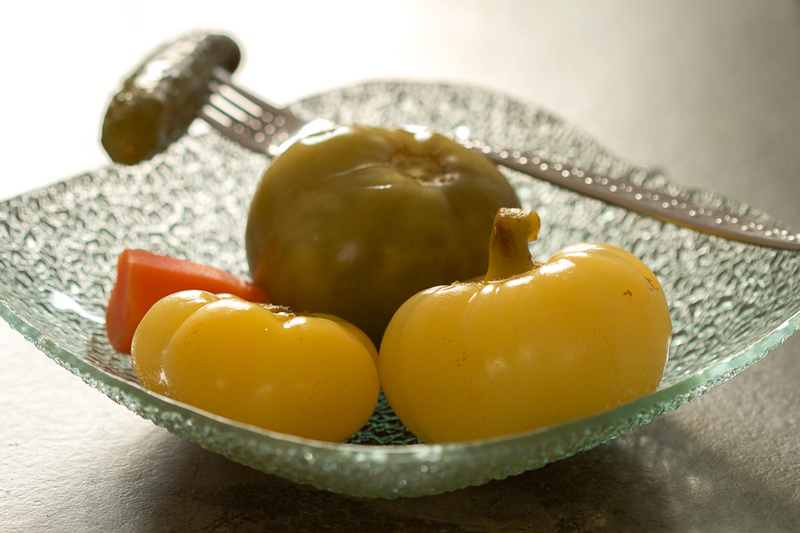 Start with a level of yellow bell pepper tomatoes, followed by the green tomatoes, followed by cucumbers, etc. Once the container is full, push down really well, and add more vegetables in if possible. The vegetables should be squeezed together tightly. Pour the water from step 1 into the container, as much as of it as it will fit, making sure everything is well covered with water. You may have more water and vegetables left over at the end. Feel free to use another smaller container or a jar and repeat the process. Close the containers tightly. Transfer to a dry place, and leave covered for at least 15-20 days. After that period your vegetables will be fermented and ready for consumption. They last several weeks to months. Feel free to transfer some of the vegetables into a smaller container and keep it in the fridge once you are ready to consume them. You can easily halve the recipe if this volume is too much. Once they start getting a really sour taste, discard them. This won’t happen for quite a while though.